Measure Ensures Legal Rights and Protection of Commercial Fishermen in Emergency Situations. Long Island, NY - August 28, 2017 - Assemblyman Fred W. Thiele Jr. and Senator Ken LaValle today announced that Governor Cuomo signed their Safe Harbor Law on August 21. 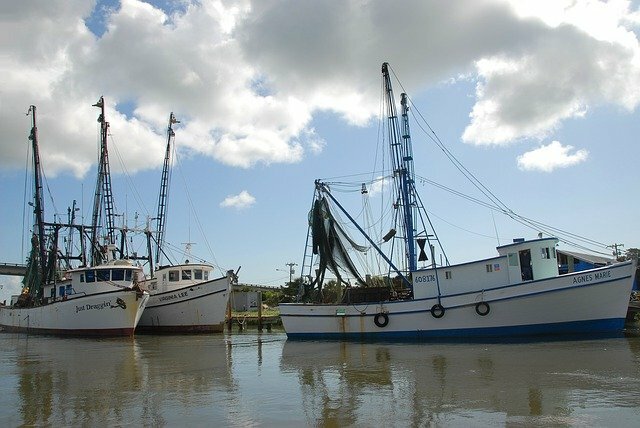 The bill provides commercial fishing vessels with safe harbor. Safe harbor means immunity from prosecution from State fishing regulations in certain emergency situations. Specifically, A4289C/S4051-C, gives the force of law to safe harbor guidelines issued by the State Department of Environmental Conservation, thus providing greater legal protection to commercial fishermen. The DEC guidelines were drawn with input from commercial fishermen after an incident in January 2015, when imminent bad weather compelled a commercial fisherman and New York State resident to land his fish in Hampton Bays rather than continue on to New Jersey where he had valid fishing permits. He was charged with illegally landing nearly 10 times the amount of fluke allowed under New York State regulations. However, the court dismissed the criminal charges because there had been no State statute that clearly defined how commercial fishermen operating with out-of-state fishing permits could seek safe harbor in New York when under duress. This legislation provides affirmative legal protection. The Safe Harbor Law would apply when a commercial fisherman (1) encounters or is forecasted to encounter unsafe weather, (2) experiences a mechanical problem, that makes the continuation of the voyage unsafe and poses a risk to life and property, (3) experiences a significant medical emergency which requires immediate medical attention necessary to protect the health of any person on board, or (4) experiences loss of essential gear such as support systems that renders the vessel unable to remain at sea. Southampton attorney Daniel Rodgers, representing New York State commercial fishermen, said, "We appreciate the efforts of Assemblymen Fred Thiele and Senator Ken LaValle in recognizing the urgent need to protect commercial fishermen in emergency situations which occur in this inherently dangerous occupation. Commercial fishermen should not be subject to arrest and prosecution for their heroic actions in saving the lives of their crew members. In signing this legislation, Governor Andrew Cuomo signaled he understands the critical importance of our commercial fishing industry in New York State." Subject: LongIsland.com - Your Name sent you Article details of "Assemblyman Thiele, Senator LaValle: Safe Harbor Bill Becomes Law"